The acupuncture points of the earlobes are used in superbrain yoga. Superbrain yoga is a simple series of poses and movements designed to increase mental energy. It was created by Master Choa Kok Sui, founder of Arhatic yoga and Pranic healing, and is based on ear acupuncture points and subtle body energy. 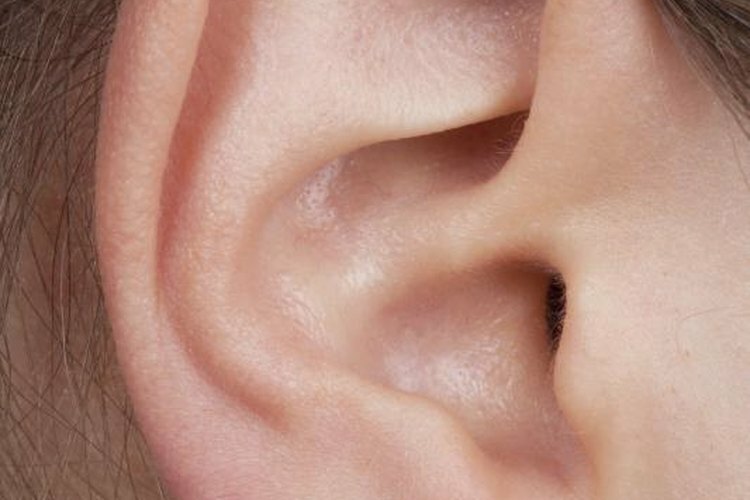 The right ear lobe relates to the left part of the brain, which is the logical thinking side, and the left ear lobe relates to the right side, which is the emotional and creative side. Studies have shown that this yoga synchronizes Alpha waves in the brain, heightens intelligence and creativity and can help children with learning difficulties. It takes less than five minutes a day to practice. Remove any jewelery and stand up straight facing east, the direction of the sunrise. Place the tip of your tongue just behind your teeth on the roof of your mouth as if you were about to say the word “la” and keep it there until you complete the exercise. Grasp your right earlobe with your left hand. Place your thumb on the outside of the earlobe and your index finger behind the ear lobe. Squeeze gently. Grasp your left earlobe with your right hand. Place your thumb on the front of the earlobe and your index finger behind the ear lobe. Squeeze gently. Ensure that your right arm is on top of your left arm. Keep your thumbs and fingers on your lobes like this until you complete the exercise. Inhale through your nose while slowly lowering yourself into a squatting position. Hold your breath for a count of two while squatting. Exhale as you come back up to the starting position. Repeat the squatting movement 18 times as you inhale going down and exhale coming up. Remove your hands from your earlobes and let your tongue return to its normal position. Queensland Academies: SuperBrain Yoga – A Simple Exercise to Maximize Brain Power!